Many countries in the Asia-Pacific region, including China, are facing the issue of burning of straw residue which poses an important public health and environmental concern while also contributing to Greenhouse Gas emissions from the agricultural sector. Therefore, as a follow up to the outcomes of the 4th Regional Forum on Sustainable Agricultural Mechanization in Asia and the Pacific organized by the Centre for Sustainable Agricultural Mechanization (CSAM) of the Economic and Social Commission for Asia and the Pacific (ESCAP) in November 2016 in Hanoi, Vietnam, the Centre has launched an initiative on promoting Integrated Straw Management through agricultural mechanization in the Asia-Pacific region. As a first step, a team of experts was engaged to conduct research on the status of straw burning in three sub-regions, namely East Asia, South-East Asia and South Asia, in order to collect the available and proven practices of straw management in different countries. The research paper titled “Status of Straw Management in Asia-Pacific and Options for Integrated Straw Management” was completed in early 2018. Based upon the findings of the Research Paper and discussions at a Regional Workshop on Integrated Straw Management held in November 2017 in Kathmandu, Nepal, it was decided that pilots will be implemented in China and Vietnam to examine and demonstrate selected technologies for using straw as fertilizer, as fodder, and for mushroom growing, in order to reduce straw burning and its negative impacts on human health and the agricultural ecosystem. 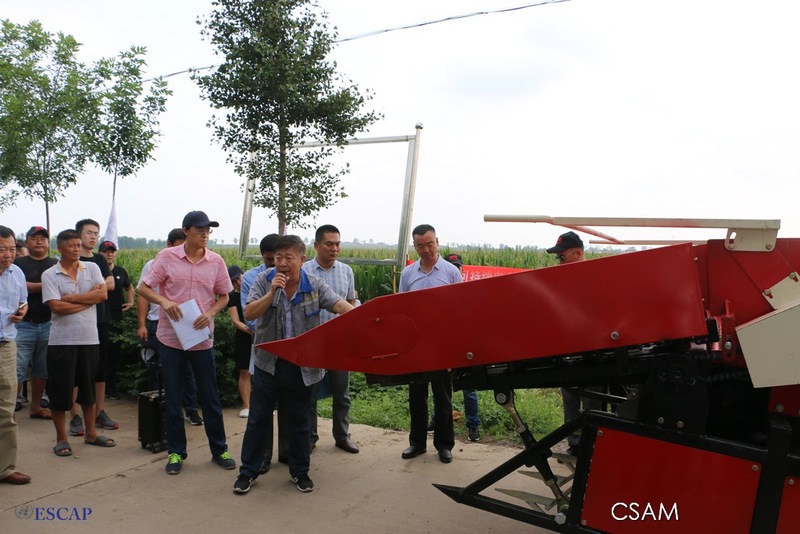 Organized by CSAM in collaboration with China Agricultural University, Qingdao Municipal Agricultural Machinery Administration, Laixi Agricultural Machinery Bureau, and Qingdao Zhitao Agricultural Machinery Specialized Cooperative in Laixi, Qingdao City, Shandong province, on 29 August 2018, the Inception Workshop of the China Pilot on Integrated Straw Management brought together policy makers, academicians and researchers, extension workers, and farmers’ cooperative representatives to present the current status of straw utilization locally, discuss findings of a socio-economic assessment conducted by experts from China Agricultural University, and to deliberate upon techniques for integrated straw management identified for the current Pilot. Mr. Liu Runzhi, Director General of Qingdao Municipal Agricultural Machinery Administration, and Mr. Cao Jiejun, Vice Mayor of Laixi Municipal People’s Government delivered remarks at the Inception Workshop and expressed their strong support for the Pilot in Laixi. The results of the socio-economic assessment have shown that use as fertilizer and fodder occupies the major share in straw utilization at the pilot site location. The workshop highlighted the crucial role of straw utilization for sustainable agriculture and its beneficial effects for cost saving, crop yield and the ecology. Moreover, participating stakeholders discussed the pilot’s work plan for the coming years including further analyzing existing practices, assisting in identifying major constraints and developing a straw utilization pattern that can help minimize the negative impacts on the environment as well as improve farmers’ livelihood. Overall, stakeholders expressed that the pilot site in Laixi could become a valuable example of Integrated Straw Management not only for the local farmers, but also for other countries across the region. As part of the workshop, an on-site demonstration was organized showcasing various types of machinery applied for using straw as fertilizer and fodder. 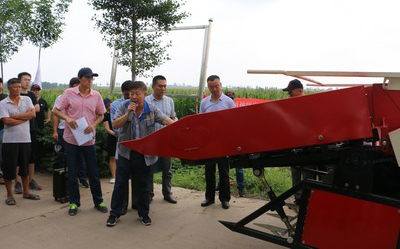 In addition, the organizers arranged visits to a dairy farm of Qingdao Zhitao Agricultural Machinery Specialized Cooperative and to the Laixi Qiquan Biogas Power Plant.